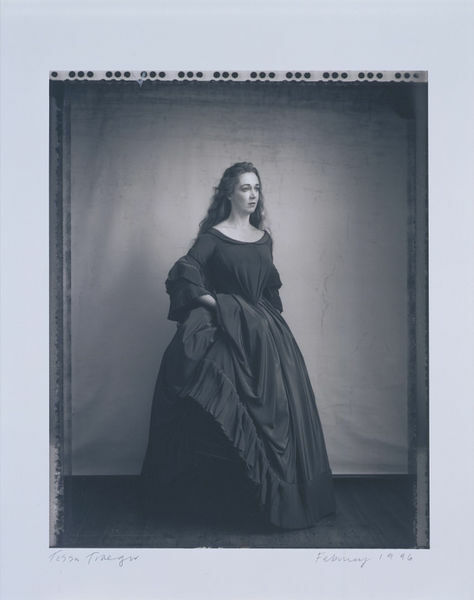 A photograph depicting Rosa Mannion as Pamina in Mozart's opera The Magic Flute. 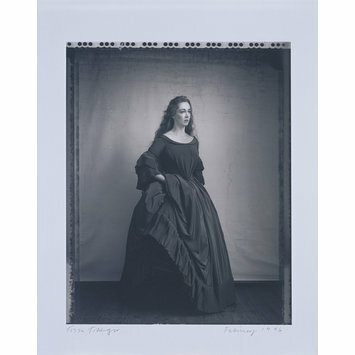 Rosa Mannion is wearing a dress of blue microfibre based on an original in the photographs of Lady Hawarden. The dress was designed by Patrick Knimouth for his production of Mozart's The Magic Flute at the Festival of Aix-en-Provence in 1996.